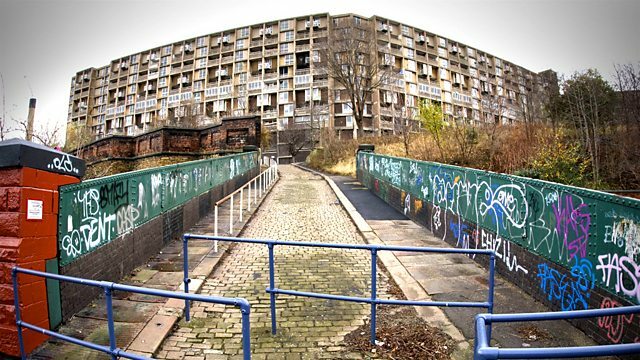 Simon Thurley attempts to bring English Heritage bang up to date with controversial plans for the modernisation of the 1950s Park Hill Estate in Sheffield. What is the largest listed building in Europe? Not a cathedral, not a castle. It is Park Hill Estate in Sheffield, a crumbling 1950s concrete monolith that dominates the city's skyline. Saving Park Hill was supposed to be about bringing English Heritage, the national heritage agency, bang up to date, in a modernisation. Instead, it plunges English Heritage and its chief executive Simon Thurley into an unexpected public row. The decision to list Park Hill was hugely unpopular locally, and rapidly became the defining issue in the local elections: the Liberal Democrats, chaired by Paul Scriven, were running on an anti-English Heritage ticket, collecting 50,000 signatures on a petition calling for the decision to list the estate to be reversed. Listing Park Hill meant the council could not knock it down - as they had the three other similar estates in their care. Now they had to redevelop it, or face a 50 million pound restoration bill. They and English Heritage approve a scheme proposed by hip Manchester developers Urban Splash - and English Heritage even promise 500,000 pounds toward the restoration of Park Hill's defining concrete grid. However, there's bad news to come: the credit crunch.